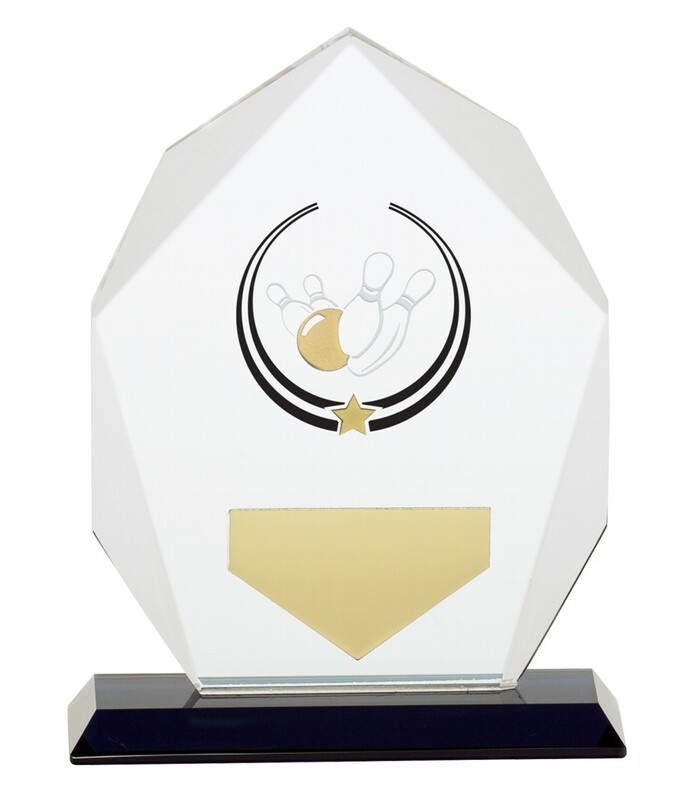 Glacier Ten Pin Bowling Premium Glass Plaques. Available in 3 sizes, 120mm, 140mm and 160mm high. Blue, silver and gold detail and made from premium glass 10 mm thick.